Blepharoplasty is one of the most commonly performed functional and cosmetic facial plastic surgical procedures. It is generally a safe and effective aesthetic treatment, which in the right hands, will offer significant improvement in appearance with a low risk profile. Blepharoplasty deals with the contours of the upper and lower eyelid space. In the upper eyelid, it concentrates the region between the eyebrow and the eyelashes. Lower eyelid blepharoplasty focuses on the area between the eyelashes and the cheek. In essence, this procedure concerns the removal of excess skin and muscle from these areas and either reduces or repositions the underlying fat to a more youthful configuration. The way that the eyelids change is complex. The skin changes are often the earliest signs. With age, the elastic fibres within the skin tissues are lost leading to a loss of resilience and sagging appearance of the skin. As the skin sages, the underlying orbicularis oculi muscle also loses tone and becomes loose with redundant bulk of muscle. A significant exacerbating factor is the forward movement of fat from the eye socket. This fat is normally retained by the orbital septum, which weakens with time and then allows fat to herniate forward causing the tell-tale bulges in the inner aspect of the upper eyelid and also lower eyelid bags. Another key ageing change is descent of the midface. A youthful lower eyelid harmoniously shares a contour with the cheek. The ageing lid often becomes disjointed from the cheek as the midface descends. These change are illustrated in the adjacent image. A final hallmark of the ageing eyelids is loss of volume. A youthful face is full of volume which is lost with age, causing lines and hollows and sometimes a gaunt appearance. It is often important to correct the midface descent and volume loss. Although this are all natural ageing changes, they are accelerated by smoking, sun exposure and hereditary factors. When you come and see Mr. Ezra for the first time, you will have a full and detailed history taken which will include your medical history and also a discussion of your goals of any prospective surgery. You will also be counselled on what the expected outcomes may be to ensure that your expectations are realistic and achievable. An essential aspect of the consultation is an evaluation of older photographs to ensure that surgery is planned to suit your facial features and history and to ensure that you still look like ‘you’ after the surgery. You will also have a detailed examination of the eye and eyelids as well as the facial skin and underlying tissues to ensure that the surgery will not compromise the health and integrity of your eyes. If drooping of the brows or eyelids are present, this will be taken into consideration and an eyebrow lift or ptosis surgery may be discussed. Mr. Ezra generally will always require a second visit at no extra cost before any prospective surgery to ensure that you have had time to digest the important issues and have a clear understanding of the nature of the surgery, postoperative course, outcomes and potential risks. This will also be an opportunity to have any further questions addressed. Mr. Ezra recommends that you write a list of questions to ensure that you have covered all of your concerns. 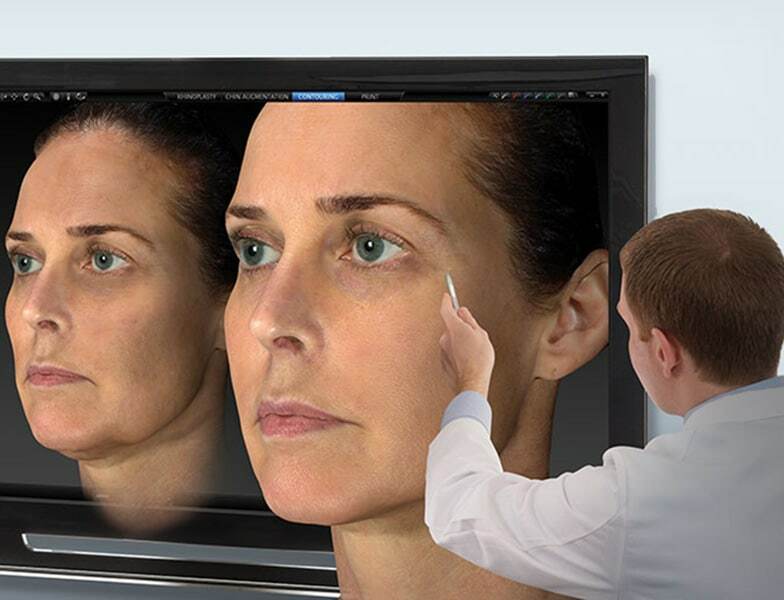 In addition to old photographs, Mr Ezra also offers a 3D imaging service using the state-of-the-art VECTRA M3 system to allow a detailed evaluation of the facial contours which can sometimes be very helpful in planning surgery. The ‘tired’ look is the most common reason that patients opt for blepharoplasty surgery. The heaviness of the eyelids and bags under the eyes give the appearance of a constantly exhausted and tired appearance. Saggy upper eyelid skin can obstruct the visual field (you may not be able to see the full extent of your lateral vision) so blepharoplasty is performed to remove this obstruction and improve vision. How Is Eyelid Blepharoplasty Surgery Performed? As an oculoplastic surgeon, Mr. Ezra specialises in blepharoplasty surgery. Experience and expertise are required to execute all forms of blepharoplasty surgery. Upper eyelid blepharoplasty is a procedure offering rapid recovery. 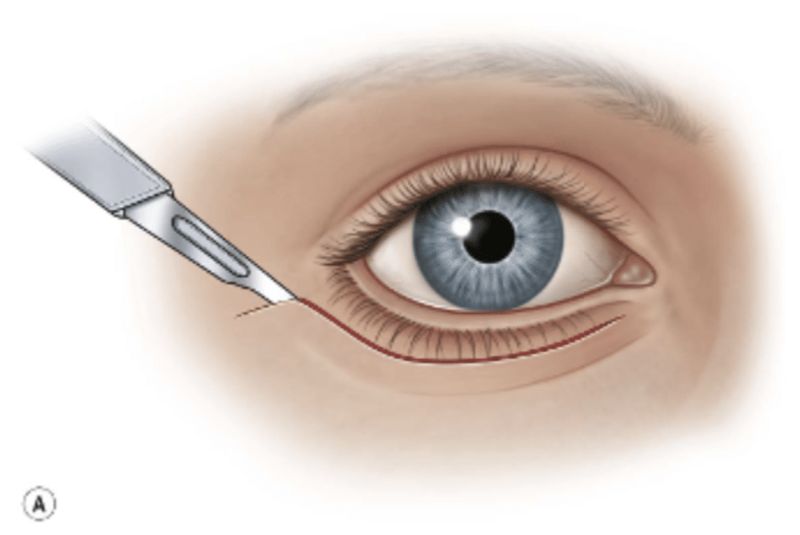 The blepharoplasty incision is measured and marked. Variable amounts of skin, underlying muscle and fat are removed, or if there is pre-existing upper eyelid hollowness, these tissues can be repositioned to fill the hollows in order to achieve a pleasing and youthful appearance of the eyelid and to improve the visual field. After the desired amount of excision is accomplished, buried dissolvable stitches are used and the skin surface is closed. Lower eyelid blepharoplasty is a more involved procedure requiring an incision under the eyelash line, running beyond the corner of the eye. Excess skin, muscle and fat can then be removed or repositioned through this incision. Sometimes, particularly for younger patients, the main aesthetic issue is the underlying fat bulge. In these cases, a transconjunctival ‘scarless’ approach through the inside of the eyelid is preferred. A schematic of these different approaches is illustrated in the adjacent images. Mr. Ezra’s preference is for general anesthesia owing to the length of the procedure, although this could be performed under local anaesthesia with sedation if the patient prefers. Animations representative of the procedure can be viewed on Mr Ezra’s website at www.danielezra.co.uk/ animations . 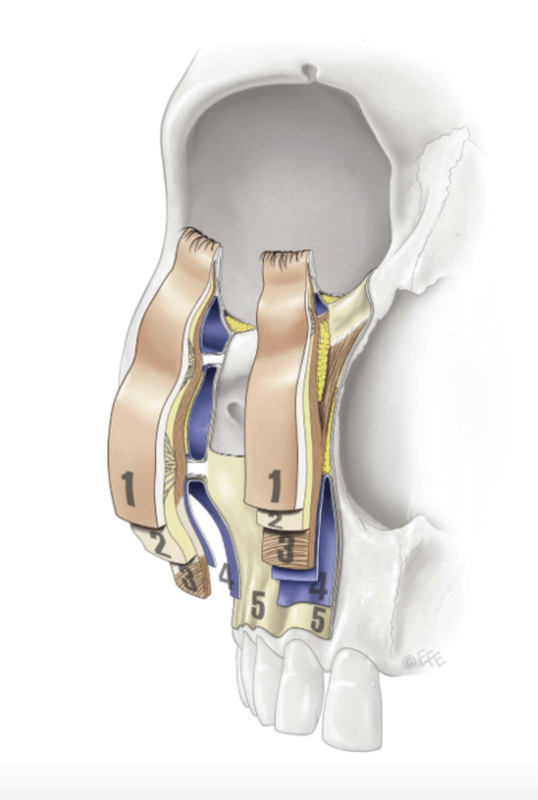 Please note that these animations provide a general guide to how the procedure is performed and do not in any way accurately reflect the surgical technique. Mr. Ezra may also question you about any dryness or watering of your eyes you may have, and may ask for some extra tests to eliminate any problems with your tear functions. All patients having local anaesthesia with sedation or general anaesthesia will be required to fast (no food, water, cigarettes or gum) for 7 hours prior to surgery. It is also essential not to wear any make up or apply creams on the day of surgery. All patient should think in advance about how they will be getting home and arrangements should be made for someone to accompany you home. Mr. Ezra will ask you about your past medical history, including medications you are taking, allergies, smoking habits, previous surgery and more. Any patients who are taking aspirin or other non steroidal anti- inflammatory drugs such as Ibuprofen or Voltarol are instructed to discontinue this for 2 weeks prior to the surgery. If these medications are essential to treat heart conditions and Mr Ezra will contact your cardiologist to discuss this further. Patients will also be instructed to cease smoking for a given period before and after the procedure. 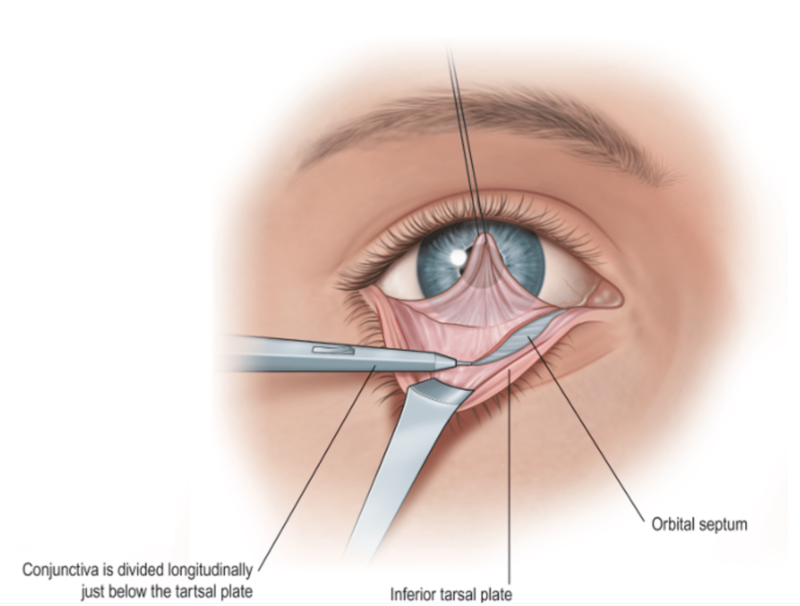 What are possible risks and complications of blepharoplasty? A detailed discussion of the risks and complications will be made at one of your preoperative consultations. You will be provided with detailed written information summarising these discussions as part of the consent process. When you awake from the surgery, the first thing that you will notice is that your vision is blurred. This is due to a very thick antibiotic ointment that is applied in order to prevent the ocular surface from drying. You will be asked to use the ointment 4 times daily and this should be applied inside the eye and rubbed onto the wounds. You can typically get up and walk around the evening of the surgery or the following morning. Saying that you are likely to experience moderate swelling and bruising of the skin. The degree of swelling and bruising differs markedly from patient to patient. The swelling and the bruising both subside within 1-2 weeks for upper eyelid blepharoplasty or 2-4 weeks after upper and lower eyelid blepharoplasty, after which time it is typically not noticeable that you just underwent surgery. Please note that there is significant variability in postoperative swelling and a small number of patients may be swollen for longer than this. Fortunately, the procedure is rarely associated with significant pain although appropriate painkillers will be supplied to you so that they are at hand if needed. You can typically get up and walk around the evening of the surgery or the following morning. You should be prepared for moderate swelling and bruising of the skin. The degree of swelling and bruising differs from patient to patient. The swelling and the bruising will usually subside within 1 for upper eyelid blepharoplasty or 2-3 weeks after upper and lower eyelid blepharoplasty, after which time it is typically not noticeable that you underwent surgery. Will I have a bandage or dressing after surgery? A bandage is usually not required after the surgery. Sometimes, in anticipation of excessive bruising or swelling, dressings may be placed over the eyes postoperatively. Following the completion of the procedure, ointment may be applied over the incisions for approximately 1 week. Artificial tear drops can be prescribed to prevent dryness in the postoperative period. Ice packs are applied over the operated area for 24 to 48 hours, and you will be encouraged to sleep in a ‘sitting up’ position with several pillows to diminish swelling. How Do I wash after the surgery? Days 1-2 postoperatively. Keep the eyes dry, but it is fine to bathe without wetting the eyes or have a shower below the level of the nose. The hair can be backwashed. Do not worry too much if the eyes get splashed by water, one needs to avoid the wounds being exposed to longer periods of moisture. Days 3-7: start to wash the eyes gently with soap and water. Lightly dab the eyes to dry them. Do not pick out any of the crusts, they will fall away when they are ready. Day 7: This is the typical time that the sutures will be removed. Once the sutures are removed, one can get back to normal washing routines. Day 14: Makeup can be used again. How long will I be off from work? Typically, patients having upper lid blepharoplasty surgery can return to work after 7-10 days. It would be unusual for anyone to notice that you have had surgery at this point. For lower lid blepharoplasty, the recovery is longer at about 10-14 days and 2 weeks should be taken off work. However, for both of these treatments, you should be fine to work from your home using a computer from 2 days after surgery and this will in no way harm the eyes or compromise the outcome of the surgery. Will i need to remove the stitches? 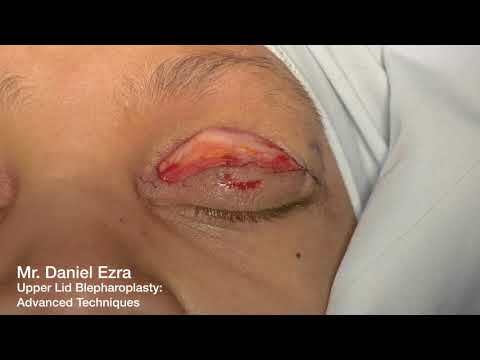 Depending on the clinical details, Mr. Ezra may use dissolvable stitches (sutures) and the skin then closed with glue which means that no suture removal is necessary. However, sometimes removable sutures will be required and these will then have to be removed after 7-10 days. This will depend on how things settle after surgery. Usually, makeup can be worn after 2 weeks. Please note that there is significant variability in postoperative swelling and a small number of patients may be swollen for longer than this. You will also have antibiotic ointment in the eyes when you awake which can make the vision blurred. In the week following surgery, it is sensible to use a range of measures to reduce swelling. Ice packs should be applied over the operated area for 1 week after the surgery. If specialised ice packs are not available, a bag of frozen peas wrapped in a towel can be extremely effective and these should be applied for a few minutes 3-4 times daily or more if required. You will also be encouraged to sleep in a ‘sitting up’ position with several pillows under your head. This has the effect of preventing fluid accumulation and the associated swelling. It is also important to avoid strenuous activity for the first 7 days after the surgery. Walking at a gentle pace is encouraged, and patients should try to ensure that they are mobile. Will I be able to use make-up after the surgery? This will depend on how things settle after surgery. Usually, make-up can be worn after 2 weeks. Will I get any scars after surgery? Whilst any skin incision will always leave a scar, the eyelids are the site in the body that heal the best with very little residual scarring. The attached photographs demonstrate the typical degree of scarring of the upper eyelid after 6 and 12 weeks. The upper lid scar is carefully hidden in the skin crease and disguised very well in the open position. The lower eyelid scars are hidden under the lashes and are barely perceptible. There is usually small scar extending laterally by a few millimetres into the crow’s feet areas which can sometimes be more noticeable. Generally, it is extremely rare for noticeable scarring to be an issue for patients after blepharoplasty. 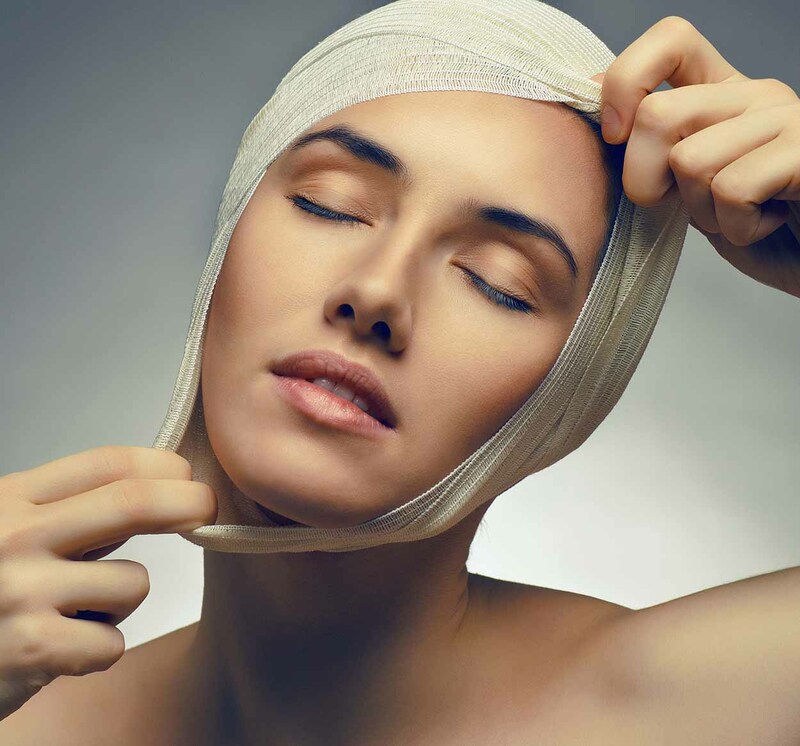 This is in contrast to other forms of facial aesthetic surgery such as a facelift where the scars are much more of an issue for patients. Mr Ezra has undertaken laboratory research no skin cells derived from the eyelids to investigate their scarring potential. 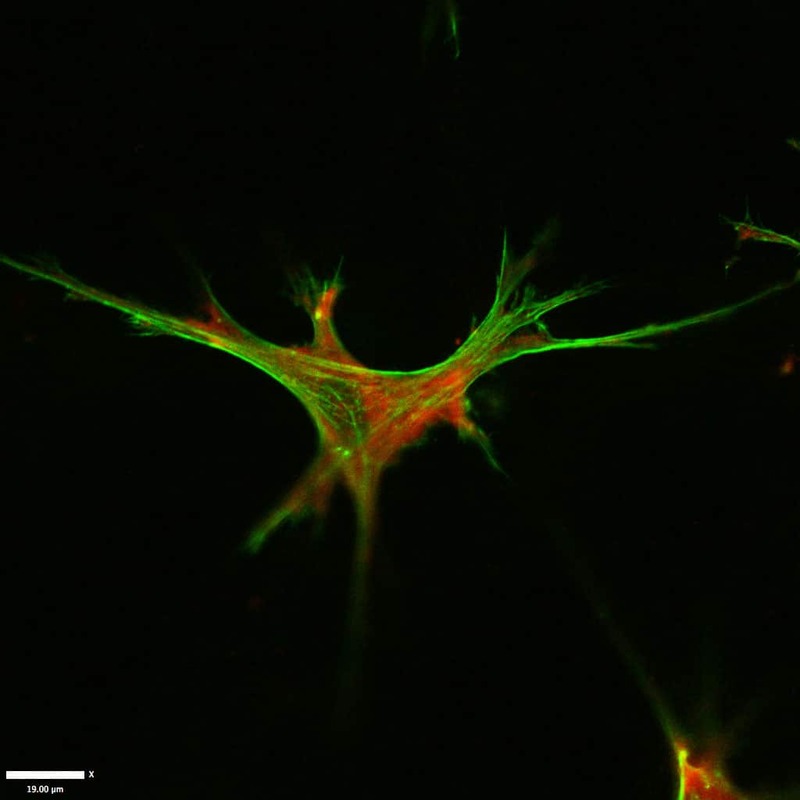 He has identified that eyelid fibroblasts (scarring cells) differ in comparison with other cells in the body, having a much lower propensity to contract and form scars, even in response to pro-scarring growth factors. This unique aspect of eyelid cell biology explains the light nature of scarring in the periocular area. See this research paper, Published in the journal of Plastic Reconstructive Surgery Open here. Is it possible that I will need revision surgery? Although the result of blepharoplasty surgery may be expected to last for years the natural ageing process will continue. Drooping and bulging of the eyelids may, therefore, recur. This is not down to any post-operative failure or complications. 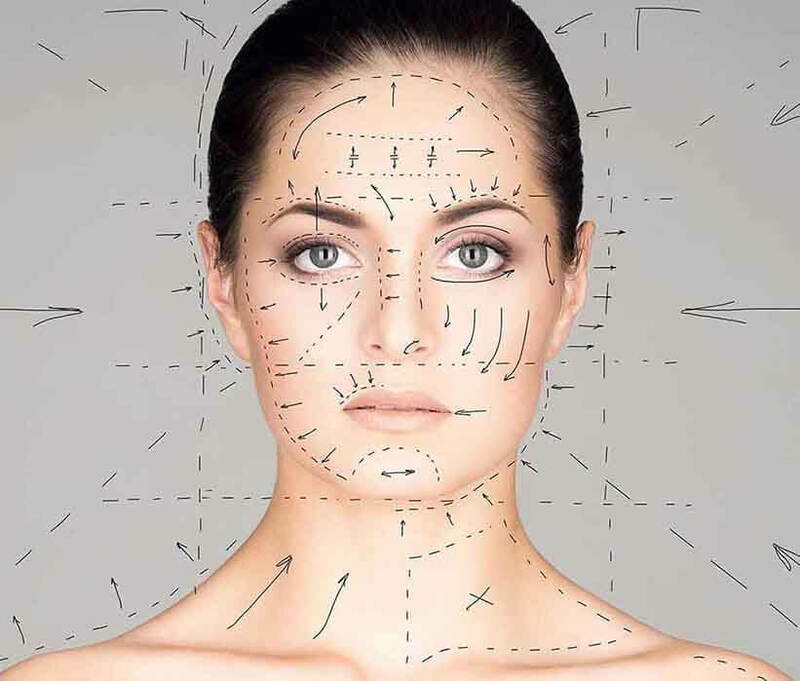 As with all aesthetic surgery, an "ideal" result may not be achieved after one surgical procedure and subsequent refinements may be necessary. In such instances, additional approaches can be considered. The first falls under the category of blepharoplasty plus. This covers a range of procedures which can be used to enhance the initial result. An alternative route is revision blepharoplasty. Patients who do opt for this vary greatly in their reasons for undergoing a second operation. Some want to address scarring whilst others want to address severe eyelid malposition.